The dual FADEC and independent control system of the AS350 B3e reduces the pilot's workload by automatically checking start-up sequence. Image courtesy of Anthony Pecchi. 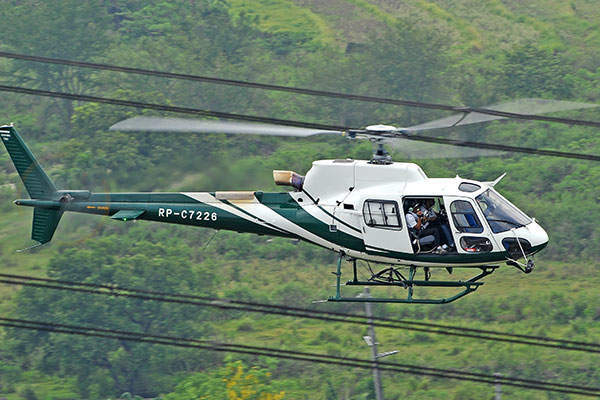 The AS350 B3e helicopter can be employed for wide range of operations such as power line check-ups and law enforcement. Image courtesy of Anthony Pecchi. 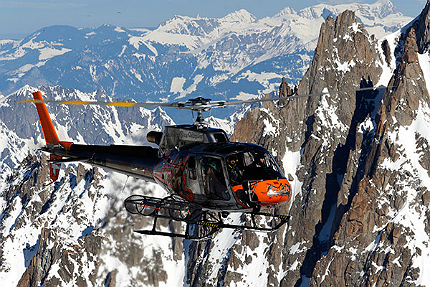 The AS350 B3e helicopter can fly at a maximum altitude of 7,010m. Image courtesy of Anthony Pecchi. The cockpit of the AS350 B3e features one LCD dual screen Vehicle and Engine Malfunctioning Display (VEMD). Image courtesy of Patrick Penna. 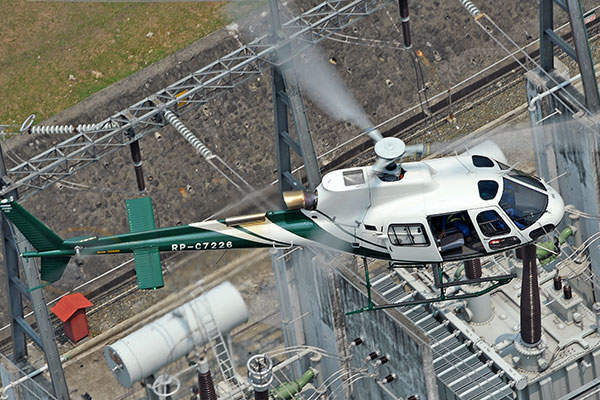 AS350 B3e is powered by a single Turbomeca Arriel 2D turbine engine which produces maximum continuous power of 728shp. Image courtesy of Patrick Penna. 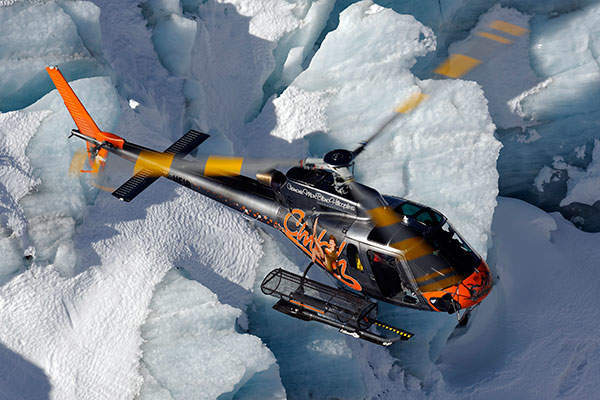 AS350 B3e can operate in temperatures ranging from -40°C to 50°C. Image courtesy of Patrick Penna. 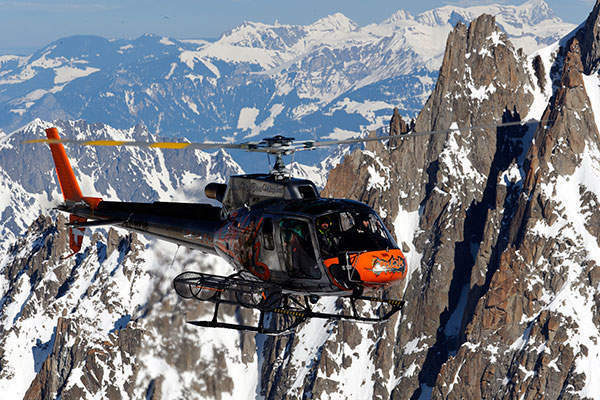 AS350 B3e is designed for operations in a wide range of missions, temperatures and geographies. Image courtesy of Eurocopter. AS350 B3e is a high performance, single engine, light helicopter manufactured by Eurocopter. The AS350 B3e helicopter, developed as a variant of the AS350 B3, is the latest member of the Ecureuil family. The new variant is designed for operations in a wide range of missions, temperatures and geographies. 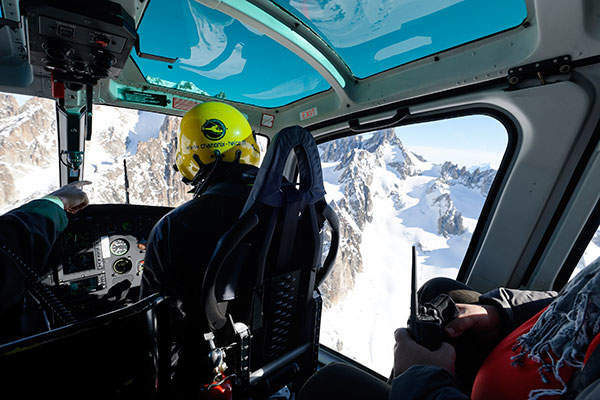 The AS350 B3e can be used for wide range of operations including fire fighting, hoisting, news gathering, power line inspection, passenger transportation and law enforcement. The aircraft delivers best in class endurance, range and fast cruise speed. "The new variant is designed for operations in a wide range of missions, temperatures and geographies." Eurocopter Chile delivered the first AS350 B3e to Servicios Aéreos Kipreos in October 2011. UTair Aviation placed an order for 13 AS350 B3e helicopters and seven other Ecureuil family helicopters in 2010. It is the largest contract ever placed for light helicopters in Russia and the Commonwealth of Independent States (CIS). The first batch of three helicopters was delivered in January 2012. Kenya Police Air Wing is the first African customer to receive the AS350 B3e in January 2012. In February 2012, Air Greenland ordered one AS350 B3e, bringing its fleet of Ecureuil helicopters to 13. Eurocopter India, a subsidiary of Eurocopter, received an order for one AS350 B3e during India Aviation 2012 in Hyderabad. AS350 B3e entered the UK market when Eurocopter delivered the first AS350 B3e to Loxwood Holdings in March 2013. The fuselage of the AS350 B3e constitutes a cabin and three-luggage holds. The cockpit features two energy absorbing seats for pilot and co-pilot. The removable doors with sliding windows on either side of the cockpit allow the entry and exit of crew members. The cabin includes two foldable double back bench-seats equipped with safety belts and shoulder harness. It is fitted with one attached right rear door for freight and passengers and a sliding door at the left. The flat floored cabin of the helicopter can be easily modified according to the mission requirements. The interiors of the AS350 B3e are designed more elegantly for providing greater passenger comfort. AS350 B3e features one main rotor with three blades made of composite material, and an anti-torque rotor with two blades. The rotors employ servo units. The tail boom of AS350 B3e includes a stabiliser, anti torque rotor and a fin with tail skid. The helicopter integrates high skid landing gear with large foot print. The cockpit of the AS350 B3e accommodates a pilot on the right side and is equipped with optional removable dual controls. It features one LCD (Liquid Crystal Display) dual screen Vehicle and Engine Malfunctioning Display (VEMD) displaying vital information, such as first limitation indicator, fuel level, temperatures and pressures of vital systems and environment. The avionics of the AS350 B3e helicopter includes an altitude indicator, heading indicator, course deviation indicator, turn and balance indicator, transponder, emergency location transmitter, communication systems, navigation systems, landing assistance systems and global positioning system (GPS). AS350 B3e is powered by a single Turbomeca Arriel 2D turbine engine fitted on the top of fuselage towards rear end. 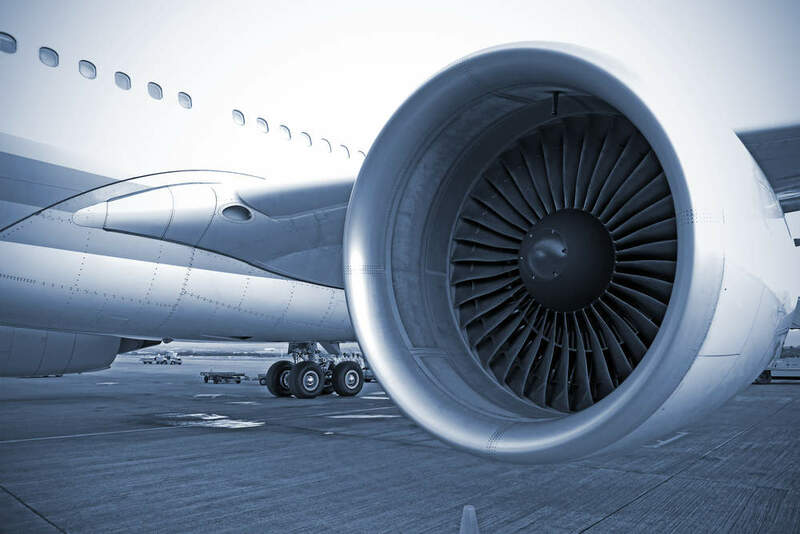 The engine incorporates a new axial compressor and new blade material to provide the aircraft with low operating cost, high reliability and high performance. 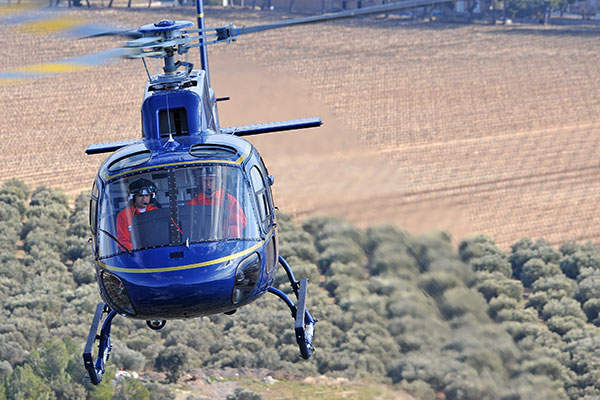 "Eurocopter Chile delivered the first AS350 B3e to Servicios Aéreos Kipreos in October 2011." The Arriel 2D engine produces a maximum continuous power (MCP) of 728shp (543kW). The dual FADEC (Full Authority Digital Engine Control) monitors the operation of the engine and the propeller. The engine is also integrated with Engine Data Recorder (EDR) and Vehicle and Engine Malfunctioning Display (VEMD) for reducing the pilot workload and enabling easy maintenance of engine. The AS350 B3e helicopter can fly at a maximum speed of 287km/h and a cruise speed of 259km/h. The helicopter has a range of 638km and maximum endurance of 4.38 hours. It can climb at rate of 10m/sec. 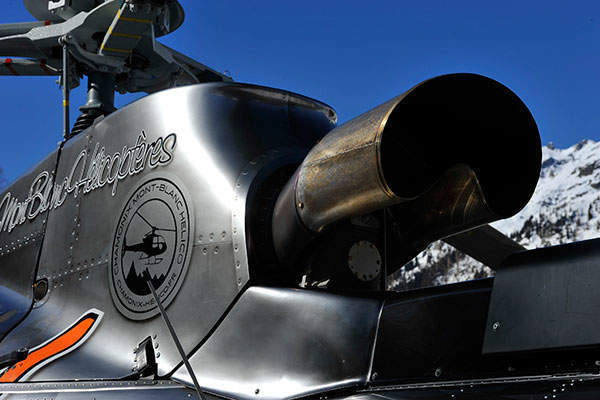 The helicopter can reach a maximum altitude of 7,010m and can operate in temperatures up to 50°C. The maximum take-off weight of the aircraft is 2,250kg, which can be further increased up to 2,370kg. The maximum take-off load weight with external load is 2,800kg, while maximum cargo-swing load of the helicopter is 1,400kg. The AW109 Power light multirole helicopter has been developed by AgustaWestland in Italy. The Eurocopter EC175 is a twin engine, medium utility helicopter being designed and manufactured jointly by Eurocopter, France and the Harbin Aviation Industry Group (HAIG) of China.